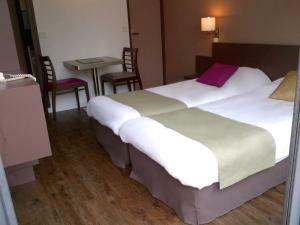 Just 350 metres from Tolbiac Metro Station with a direct line to the Louvre Museum and within 750 metres from other transport links, this hotel offers studios for up to 4 people. Breakfast, parking and Wi-Fi are available. 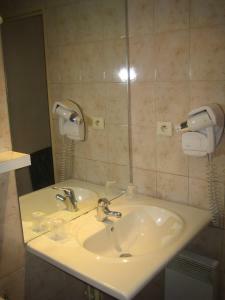 Each studio includes a TV, private bathroom and an equipped kitchenette. 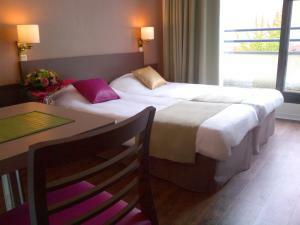 The studios at the AM Hotel are simply furnished, accessible by an elevator and some have a terrace. A continental breakfast can be ordered to your room every morning. 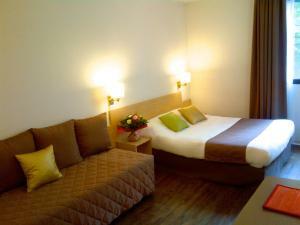 The hotel also offers luggage storage facilities and the staff can order tickets or car hire on your behalf. 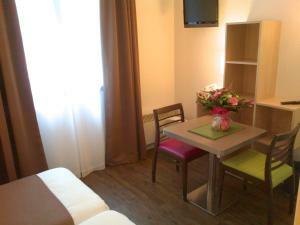 Place d'Italie with its large shopping centre is 850 metres from the hotel and Choisy Park is 3 minutes’ walk. 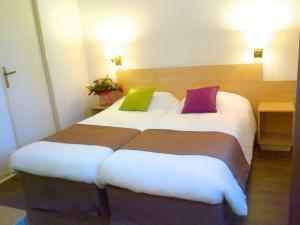 The lively Rue Mouffetard with its cafes and market is 2.3 km away and François Mitterrand library is a 20-minute walk. AccorHotels Arena is located 1.7 km from the property. Reception opening hours: Monday to Friday: 07:00 to 20:00 Saturday and Sunday: 07:00 to 13:00 and 15:00 to 20:00. Check-in outside of these times is possible upon request and for a deposit equal to the price of first night. Guests making a reservation on their day of arrival without a bank card must check in by 20:00. Please note that check-in before 15:00 and check-out after 12:00 are available for an extra charge of € 5 per hour. Please note that the photo ID and credit card must be in the same name as the name on the booking confirmation. If this is not the case, please note that the hotel reserves the right to refuse a reservation. Guests are required to show a photo identification and credit card upon check-in. Please note that all Special Requests are subject to availability and additional charges may apply. Please inform AMHotel Italie in advance of your expected arrival time. You can use the Special Requests box when booking, or contact the property directly with the contact details provided in your confirmation. 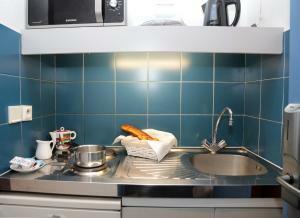 This studio with a private bathroom includes a kitchenette with an electric kettle, microwave and kitchenware. 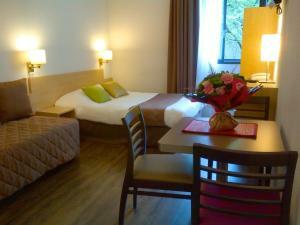 Rate: € 89.00 ... € 150.00; select dates below to get current rates. 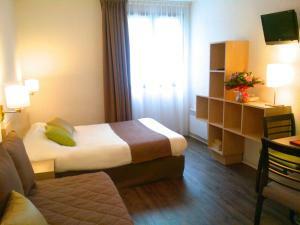 This studio with a private bathroom includes a kitchenette with an electric kettle, microwave and kitchenware. This is a duplex with a private terrace. This family room has a oven, microwave and electric kettle.